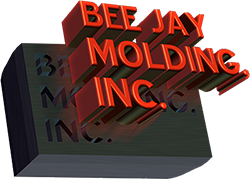 Move your goods directly to a retailer with drop shipping from Bee Jay Molding. If you supply a retailer with your product, ask us about delivering directly to a store where consumers come to make purchases. We do whatever it takes to get your product to market on time. Many of our customers deal with large retailers such as Walmart, The Home Depot, QVC, and others. Our facility is fully capable of taking your product from development stage to finished product ready for retail. We will work with you to develop a streamlined production and drop-shipping campaign designed to fulfill the needs of your customers while optimizing your profitability.